The first of several co-op DLCs arrived last week for Shadow of the Tomb Raider. Dubbed "The Forge," everyone's favorite freebooter of sepulchers will face a number of fiery challenges as she explores a new challenge tomb and attempts to uncover the secrets of Kuwaq Yaku. The Forge can be played solo or with a friend online. Should you and your fellow pillager of catacombs successfully make your way through the tomb, you'll be rewarded with a new outfit, a new weapon, and a new skill. It's not explicitly mentioned anywhere in the announcement for the DLC, but it does sound like both players will need to own the DLC in order to tackle the challenge together. If you picked up the Season Pass, then you'll get this for free, otherwise it'll run you $4.99. There are a number of sales going on here in the States due to Thanksgiving/Black Friday, and it appears Shadow of the Tomb Raider is available for 50% off on PC and PS4 until next Monday, 11/26, and 40% off on the Xbox One. 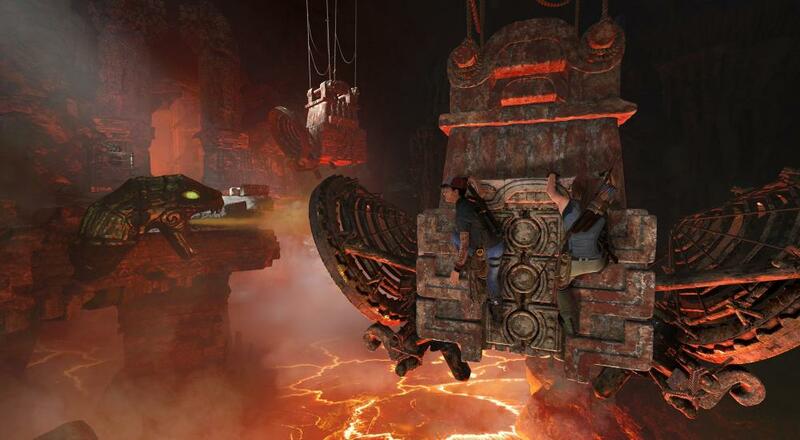 The Forge is the first of seven planned monthly DLC releases, each of which will offer something new for Lara's latest outing. It's worth noting, though, that not all of those DLCs will offer co-op. We'll do our best to call out the ones that do. Page created in 1.0477 seconds.